This is the only book that has made me cry within the first five pages. “I remembered our kitchen garden back home in Srinagar, and all the tomatoes I had wasted, plucking them before they could ripen and hitting them for sixes with my willow bat. And now in my hands somebody had thrust half a tomato.” Rahul Pandita, that statement made me cry and I didn’t read beyond that on day one. I never want to know how it feels to be “displaced” from whichever place I call home. You have made me feel that through your book and it’s a terrible feeling. I can almost see the 22 rooms of your home in Srinagar and the kitchen garden, even though I haven’t been to Jammu & Kashmir. Someday we will. I learnt about the Pandits’ contribution to our history, knowledge, Hinduism and Buddhism through your book and thanks for sharing that information. In today’s context, that “Hindu” history is almost being negated. I looked at my father; his face was contorted. He knew only too well what the phrase meant. I had heard it as well, in a stirring drama telecast a few years ago on Doordarshan, an adaptation of Bhisham Sahni’s Tamas, a novel based on the events of the 1947 partition of India and Pakistan. It was the cry that a mob of Muslim rioters shouted as it descended upon Hindu settlements. It was a war cry. Within a few minutes, battle cries flew at us from every direction. They rushed towards us like poison darts. What a contrast.. am sure millions of Indians on that day were just going about their lives normally while you all were being hounded out of your homes. With no 24/7 cable TV and 100s of news channels “breaking news”, it was just another day for the rest of India. The enormity of what was happening in Kashmir was not even felt elsewhere. I wonder if the same could have happened just 10 years later …. probably not, because by then there was “live” news. Couldn’t destiny wait for just ten years ? Your brother Ravi’s death just shook me from inside. “It is said that the heaviest load in this universe is that of a father carrying his son’s body. Ask me, I have carried it myself and my shoulders are still bent. It was I who took a dip in the same canal water on my son Ravi’s tenth-day kriya, and then on the eleventh day, through the efficacy of mantras sent his soul to the abode of my ancestors.” This statement of his father, brought back memories of my elder brother-in-law who passed away when he was 23 and a cousin who passed away when he was 32. I never saw my father-in-law do the last rites for Kannan as I wasn’t married to Krishnan then, but I saw my uncle do the last rites for Bharath and that image of a father placing a burning ember on his son’s chest has never left me. A father carrying a son’s body is the heaviest load in this universe and so many fathers had to do that in Kashmir. I like the fact that you still have many Muslim friends because something like this generally turns one into hating the perpetrators. I don’t like to identify people by their religion but unfortunately some politicians and opinion makers of our country have made the Hindus feel like refugees and Hinduism as non-secular and as something terrible, while it’s probably the only secular way of life out there, because it’s not a religion and no one can be “converted” into a Hindu. Anyway that’s not important to discuss in this blog. 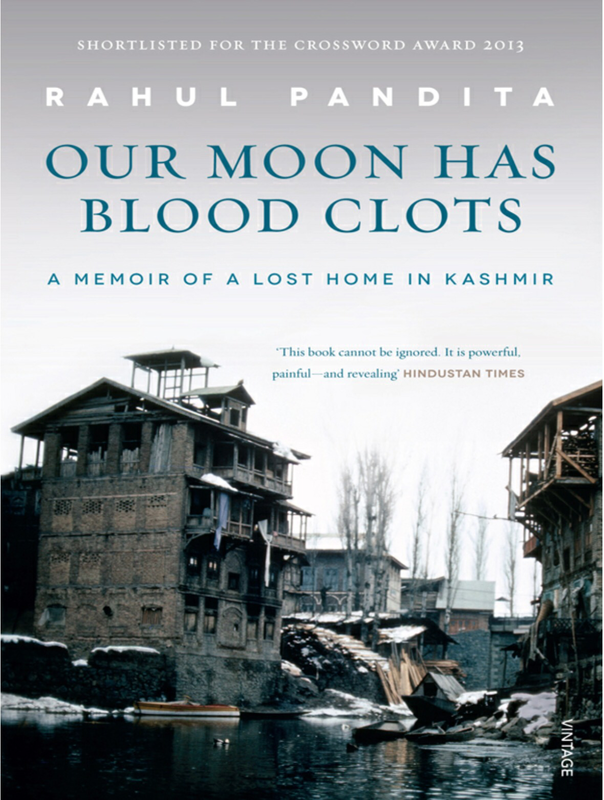 Rahul Pandita, thank you for writing this book and sharing your life with us. A virtual warm hug and a prayer for your well being comes your way. This is not a review of your book, because it will be a review of your life and who am I to review your life ? I titled it as life review because it seems like you have reviewed your life through the book. Fellow Indians, please read this book. I believe the revised version is either on its way or already on the stands. We must understand what really happened in Kashmir before trying to fix it or even form an opinion.